The best thing about Holiday collections: the beautiful limited edition sets. 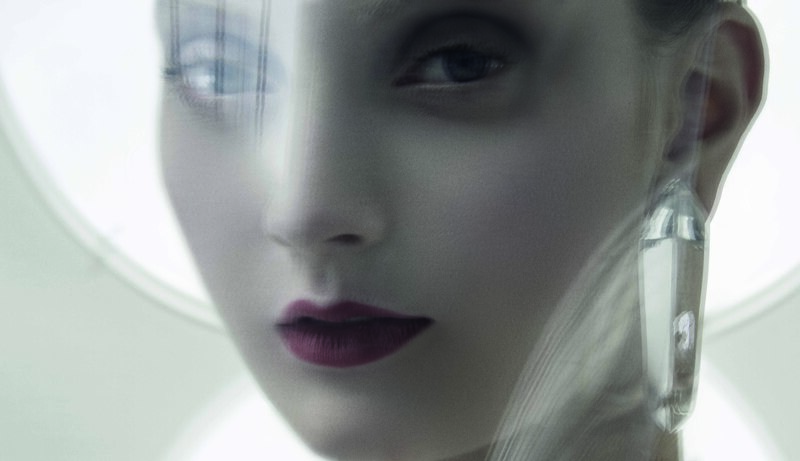 Like the Sarah Moon for Nars line, where ethereal images of beautifully made-up women adorn the boxes. A French fashion photographer, Moon is known for her somehow touching, out-of-focus, and translucent pictures that look like water colour paintings. She is also recognised for her work in the famous Pirelli calendar, and commissions by Chanel, Dior, Vogue and Comme des Garcons. WHEN DID YOU FIRST DISCOVER SARAH MOON AND HER WORK? I discovered Sarah’s work in the early ‘70s when she was doing quite a bit of editorial work for ELLE and Vogue. I never actually met her until we decided to work together though. It was really incredible to be able to do this collaboration and work with her for the rst time after all those years of admiration. HOW DID YOU PICK SARAH MOON AS YOUR NEXT COLLABORATOR, WHAT DREW YOU TO HER? I pick the people whom I love and admire. So it’s always quite an obvious choice because it’s usually someone who has been a great source of inspiration to me. all the time. Like most talented photographers, she works in a very specific world. It’s a very intimate world full of softness and beauty — like a dream world. And she has an incredible love of fashion. She’s an amazing fashion photographer. Her love of fashion and beauty combined really create the stunning images she captures. HOW HAS SARAH’S WORK INFLUENCED YOU IN YOUR CAREER AND CREATIVITY? Being a makeup artist and now as a photographer, I’ve always been influenced by so many people—Guy Bourdin, Sarah Moon—these are the people that influenced me to become a makeup artist and ultimately, a photographer. I was obsessed with their work. I was looking at magazines constantly when I was younger, trying to find out how they did the makeup, and how lighting was used. Their influence has had an enormous impact in my life. That’s why it’s so exciting to do these collaborations. HOW DID YOU TRANSLATE SARAH’S VISION INTO THE MAKEUP COLLECTION AND COLORS? Creating the collection was the easiest thing because Sarah is a photographer of beauty. For her, beauty is in her blood, she’s obsessed with beauty. You look at her world and you get inspired by the colors in her photographs. They can go from dusty pastels to smoky neuturals. It probably took me an hour total to create the collection—it was that easy. Sarah loves those beautiful, deep red colors. And smoky eyes. WHEN DID YOU FIRST MEET FRANCIOS? I don’t believe we actually met until we started working on this collection. He was in the world of fashion and so many people knew him, it was like I’ve always known him, without knowing him. TELL US ABOUT THE COLLABORATIVE PROCESS WITH FRANÇOIS? The concept of his previous collaborations with artists was to use existing images, so when we met I proposed to do something new, and he was totally open to that, which made it exciting for both of us. He was enthusiastic and curious, which made the collaboration process. His openness allowed a fresh new project, focused on beauty. WHAT WAS YOUR INSPIRATION FOR THE COLLECTION VISUALS? HOW DID YOU AND FRANÇOIS COLLABORATE ON THE VISUALS? I wanted it to be very modern and feel almost as if the woman is transparent. We wanted to tell a story about an authentic woman— whatever makeup she is wearing, she is never masked. We really collaborated to find this woman that was delicate, yet strong and always very modern. I knew straight away that I wanted the corset for the styling. I wanted to see the skin so we made the corset transparent and that’s where we came up with the idea of this modern metropolis. HOW DID YOU CHOOSE THE SHADES FOR THE COLLECTION? a way to enhance the woman’s natural features. The shades really stemmed from this idea. Find out more about Francois Nars here.